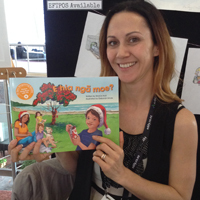 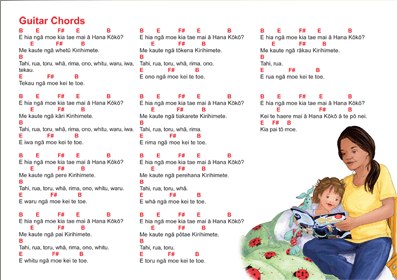 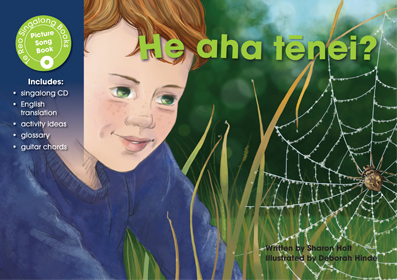 Most teachers and children can count a few numbers in te reo Māori. 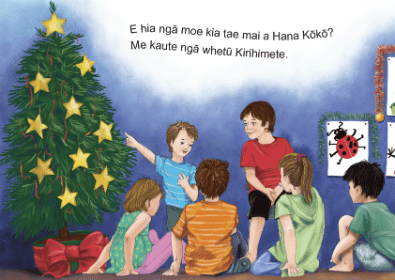 But how many can use those numbers in sentences? 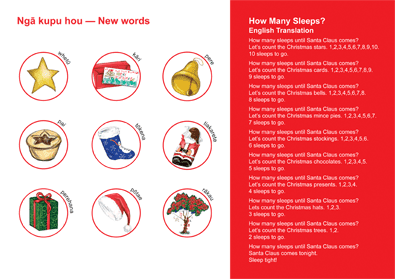 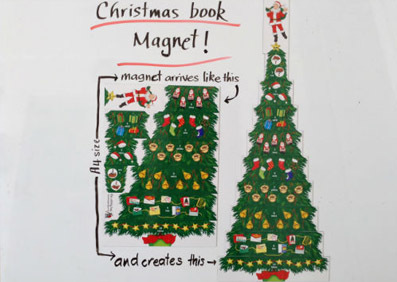 This Christmas countdown book includes easy sentence structures that are useful all year round. 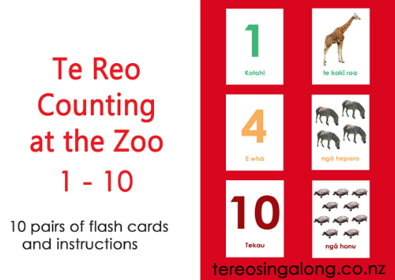 And it’s a great way to practise counting in te reo as well! 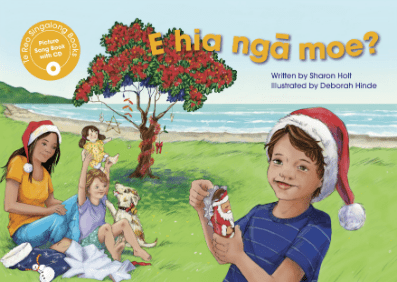 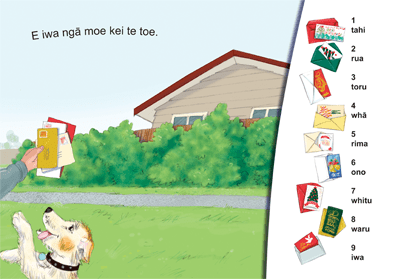 The illustrations feature a family getting ready for Christmas at the beach – a nice Kiwi touch that many children can relate to.